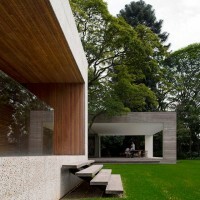 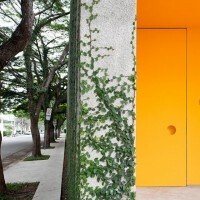 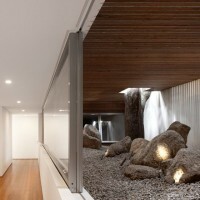 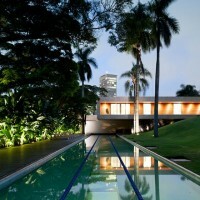 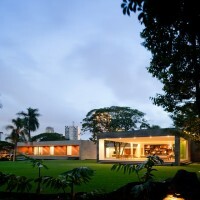 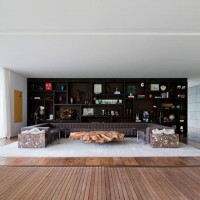 Isay Weinfeld has designed the Grecia House in São Paulo, Brazil. 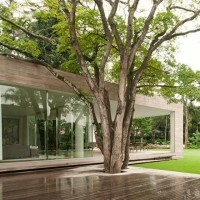 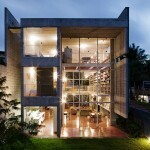 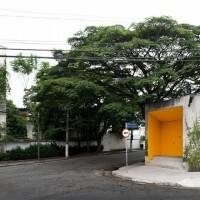 Grecia House is located on a corner plot featuring 4.830 sq m in a residential area in São Paulo, Brazil. 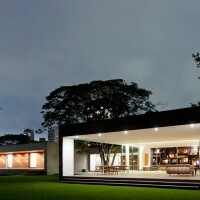 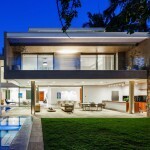 The client wanted a house where he could enjoy the company of his kids and many friends intensely. 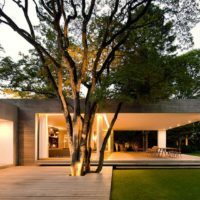 For that purpose, he asked for ample and various entertaining areas, such as a cinema room, a recreation room for the children and a sauna. 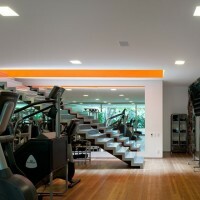 And being a sports enthusiast, he wanted the house to feature a large gym room and a long swimming lane as well. 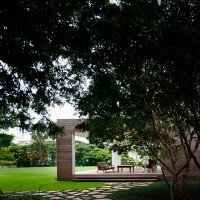 From the main entrance, one approaches the house – set at the back of the land – by foot, up and through a wooded area, and across a wide garden. 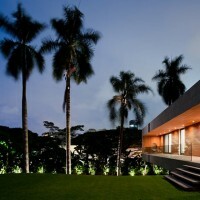 The house comes then fully to sight: 4 joined but distinct blocks, respectively covered with pebble-blasted concrete plaques (living quarters), exposed concrete (office), wood planks (entertaining area) and sand-blasted concrete plaques (dining and service areas). 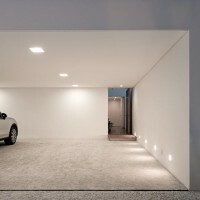 A driveway set at the back of the house can be used by those arriving by car. 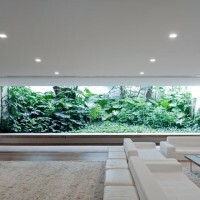 Past a garage where the owner keeps his antique cars collection and up through a lush indoor garden, one comes to the main floor, where all living and entertaining areas are to find – except for the gym and recreation rooms, located on the lower floor, and the sauna, on the basement. 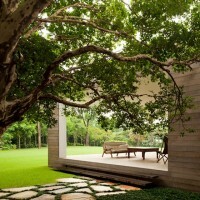 The location of the house was also defined by (huge) existing trees. 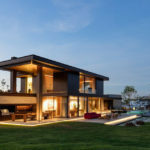 An important part of the concept, the decision to build small patios and gardens around them allows for broad natural light and ventilation inside the house, helping to keep temperature cool and pleasant green views whichever way one looks at. 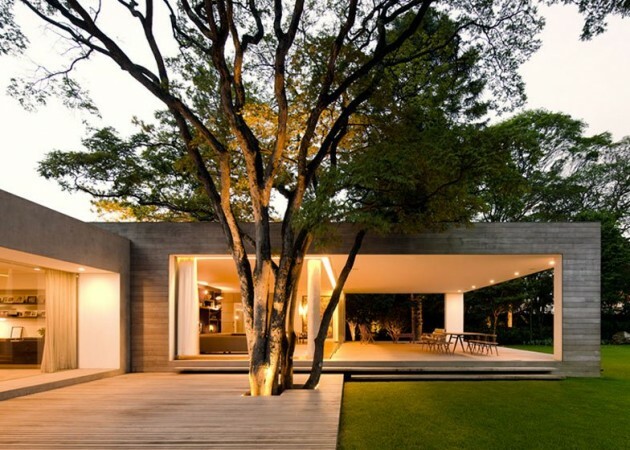 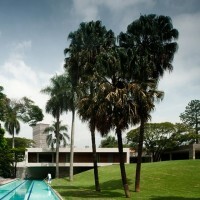 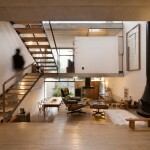 Visit Isay Weinfeld’s website – here.